Orthodontic treatment is an important investment in your dental health, your appearance, and your overall confidence. But while the rewards are great, the costs can be high; so if you are serious about putting your money where your mouth is — pun intended — you’ll want to find an affordable but yet well-qualified orthodontist. And while you are at it, you might consider a discount dental plan to help lessen the expense of orthodontic treatment. Price shouldn’t be the only determining factor when deciding on a provider for your orthodontic care: A well-qualified orthodontist is essential. Here are some questions to ask as you begin your search for quality orthodontic treatment. Ask your general dentist for names of orthodontists who he or she recommends. Ask the orthodontist where they went to school and about their most recent continuing education studies. Ask if they are a member of the American Association of Orthodontists. Ask specific questions about the office’s sterilization techniques and protocol for emergency appointments. Ask for details on the length of treatment and cost for broken retainers and missed appointments. It’s not unusual for traditional dental insurance plans to either not cover orthodontic treatment or to exclude coverage for adults; this leaves many people cringing at the high out-of-pocket expense for braces. Although, a dental discount plan is an alternative that can make orthodontic treatment more affordable. When the treatment is done by a dentist or orthodontist who accepts the plan, you can expect a price reduction of 5 to 20 percent. Orthodontic treatment is about beautiful smiles; so don’t let its high price tag take the smile off your face. Click on the link to the right to find a Confident® dental discount plan through Careington® and a list of participating orthodontists in your area. 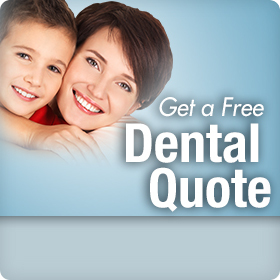 Finding Dental Insurance That Covers Implants What is a Root Canal, and How to Handle the Cost?